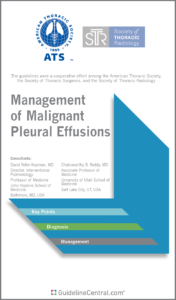 The Outpatient Community-Acquired Pneumonia in Adults GUIDELINES Pocket Guide is based on the latest guidelines of the Infectious Diseases Society of America (IDSA) and the American Thoracic Society (ATS) and was developed with their collaboration. This practical quick-reference tool contains screening information, severity assessment instruments, diagnostic and treatment recommendations, an initial management algorithm, and drug therapy and dosing information. Community-acquired pneumonia (CAP) is an acute infection of the pulmonary parenchyma associated with a constellation of suggestive features and accompanied by the presence of an acute infiltrate demonstrable on chest radiograph—with or without supporting microbiological data—in a patient not hospitalized or residing in a long-term care facility. Significant variation in admission rates among hospitals and among individual physicians is well documented. Physicians often overestimate severity and hospitalize a significant number of patients at low risk for death. The decision to admit the patient is the most costly issue in the management of CAP, because the cost of inpatient care for pneumonia is up to 25 times greater than that of outpatient care and consumes the majority of the estimated $8.4-$10 billion spent yearly on treatment. Other reasons for avoiding unnecessary admissions are that patients at low risk for death who are treated in the outpatient setting are able to resume normal activity sooner than those who are hospitalized, and 80% are reported to prefer outpatient therapy. Hospitalization also increases the risk of thromboembolic events and superinfection by more-virulent or resistant hospital bacteria. Almost all major decisions in the management of CAP depend on initial assessment of severity. Prognostic models such as the Pneumonia PORT Severity Index (PSI) (see Table 1A) or the severity of illness scores CURB-65 (confusion, urea nitrogen, respiratory rate, low blood pressure, age ≥ 65 years) (see Table 1) can be used to help determine the site of care. Multiple risk factors falling just above or below thresholds for the score. 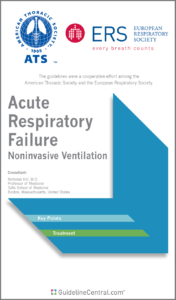 Hypoxemia on room air is a mitigating factor for admission, regardless of PSI class. Routine diagnostic tests to identify an etiologic diagnosis are optional for outpatients with CAP. Retrospective studies of outpatient CAP management usually show that diagnostic tests (such as sputum culture or Legionella and pneumococcal urinary antigen tests) to define an etiologic pathogen are infrequently performed, yet most patients do well with empirical antibiotic treatment. Exceptions to this general rule may apply to some pathogens important for epidemiologic reasons or management decisions. The availability of rapid point-of-care diagnostic tests, specific treatment and chemoprevention, and epidemiologic importance make influenza testing the most logical. Other infections that are important to verify with diagnostic studies because of epidemiologic implications or because they require unique therapeutic intervention are Legionella infection, community-acquired MRSA (CA-MRSA) infection, M. tuberculosis infection, or endemic fungal infection. Attempts to establish an etiologic diagnosis are also appropriate in selected cases associated with outbreaks, specific risk factors, or atypical presentations. Recommendations are generally for a class of antibiotics rather than for a specific drug, unless outcome data clearly favor one drug. More potent drugs are given preference because they may decrease the risk of selecting for antibiotic resistance. Patients with CAP should be afebrile for 48-72 hours, and should have no more than one CAP-associated sign of clinical instability before stopping therapy. The Centers for Disease Control and Prevention provide additional recommendations for ways to help prevent certain infectious diseases in at-risk populations. For more information please visit www.cdc.gov. Smoking cessation should be a goal for all patients with CAP.